Enter now the Kent Build Your Team Contest, in it, you get the chance to Win an NHL experience. This contest is only open to residents of Nova Scotia, Prince Edward Island, New Brunswick, Newfoundland & Labrador. To enter you have to visit the official contest web site located at kentbuildyourteam.ca and register to the site by clicking on the ‘Register’ button and completely filling in the online entry form, then follow the on-screen instructions to Create your Fantasy Team to participate on the contest. Contest closes upon the start of the final game of each AUS Championship event. 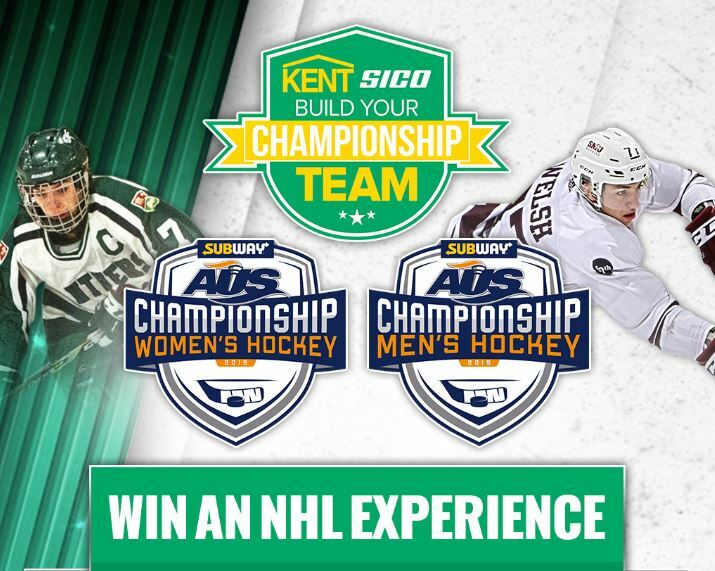 The Kent Build Your Team Contest begins at 9:00AM Atlantic Time on February 4th, 2019, and ends upon the start time of the final game of each AUS Championship event. Winner will be notified by email and/or telephone.